Multiple personalities are essential to Legion's story. 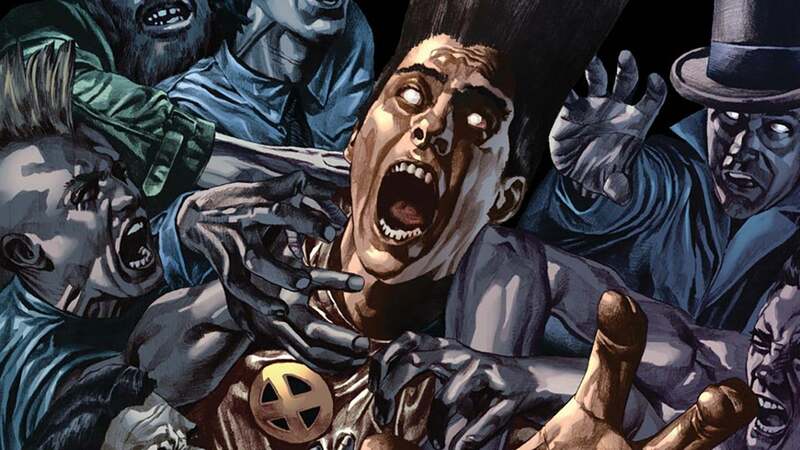 Characterized by his crazy, gravity-defying hair and an Omega-level mutant status with the latent Alpha mutant ability to create spontaneous mutations within himself, David Haller is a lot to handle. But that’s to be expected from any child of one of the world’s most famed mutants, Charles Xavier. Now, a TV-friendly, seemingly watered-down version of David (Dan Stevens) will star as the lead in FX and Marvel’s Legion, which premieres February 8. 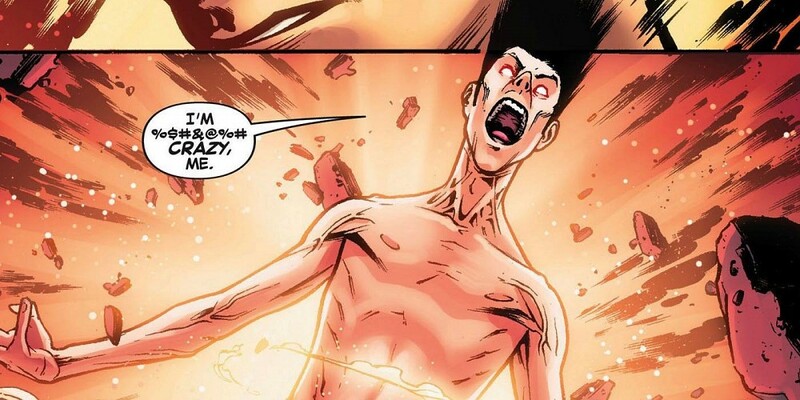 In Legion, David is said to have been diagnosed with schizophrenia as a child but, while living in a psychiatric hospital, discovers that the voices in his head and his startling visions might be the result of his mutant powers. In Marvel’s comics, David first appeared in New Mutants #25 in 1985. He lives with Dissociative Identity Disorder, which he develops after accidentally killing the group of assassins responsible for his step-father’s death. The event triggers his latent psionic powers, causing him to telepathically connect with each assassin in their final moments. Traumatized by the experience, David’s mind falls into a catatonic state. When he emerges, he has splintered personalities, each one in control of a different mutant power. Originally, there are three distinct personalities separate from David’s own, each in charge of a different psychic ability. The first is the consciousness of Jemail Karami, leader of the assassins who killed David’s step-father. Jemail gains control of David’s mutant telepathic power (mind-reading) and is one of a few “real” people whose consciousnesses have been absorbed by David’s own throughout his life. The second personality is Jack Wayne, a swaggering blowhard of a man in charge of David’s telekinetic ability (moving things with one’s mind). He’s proven hard to kill and tends to do as he pleases. Lastly, as David’s third separate personality to appear, is Cyndi, who holds David’s pyrokinetic ability (mental control of fire). She’s the prototypical rebellious teen who hates being told what to do and combining that with the ability to control fire doesn’t always result in the best outcome. More personalities and abilities make themselves known throughout David’s life (and after he’s resurrected one time). Sally has Hulk-like super strength, Johnny can turn things (and people) into salt, and Styx can absorb the souls of those he touches. There are personalities who can bend space and time, who can manipulate gravity, who can act as a living tracking device, who can harness sound into blasts of energy, and even personalities with no abilities at all and are just there. In X-Men Legacy, Vol. 2, #5, David admits that he has “200 Omega-level split personalities.” Rogue of the X-Men once entered David’s mind and said she was surrounded by thousands of different powers, more of which were “being born” constantly (X-Men Legacy #254). There are hints so far in Legion — which probably takes its name from both the “Legion” that is David himself with all his personalities and their abilities and “The Legion,” a terrifying personality within David with reality warping and time manipulation powers that calls itself “real me” — that the show is playing around with multiple personalities. It would only make sense, seeing as how that’s David’s entire storyline. It’s what makes Legion, well, Legion. Promos for the show reveal David Haller hears voices in Legion, which could very well be his different personalities trying to communicate or take control. David also seems to be unsure of what’s real in the show, so, perhaps, some of the people in his life aren’t what they seem to be. Hopefully, all will be revealed as Season 1 plays out.